For 10 years Carine Riotfeld ran French Vogue and built her reputation as one of fashion's most influential movers. Her inner circle of friends includes Donatella Versace, Tom Ford, Karl Lagerfeld, Mario Testino, Riccardo Tisci, Diane Von Furstenberg, and Alexander Wang. Now Carine is staring a new chapter in her life with her brand new magazine "CR Fashion Book." Mademoiselle C (opening September 11th) is the highly anticipated documentary by director Fabien Constant that chronicles Carine’s launch of her new magazine “CR Fashion Book.” It gives a rare inside glimpse at the inner workings not only of Roitfeld’s professional world but also her personal life. 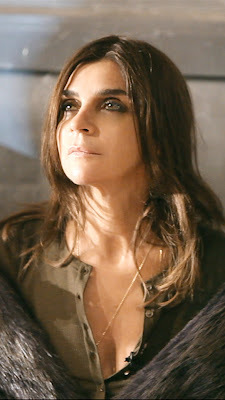 It is a film about transition, letting the audience watch as Carine moves to New York, starts a new business, and prepares to become a grandmother. I was beyond thrilled when OJ&B was invited to speak with Carine in person to talk about Mademoiselle C. It was such an honor to be able to meet such a huge icon in fashion and take in everything that she was saying. Carine is very humble, sweet and inspirational. She wants to help those around her and holds a high value on her family and friends. Check out what Carine had to say about Mademoiselle C, her close and personal friends, CR Fashion Book and even Anna Wintour. Carine Roitfeld: I never get comfortable with the camera. Never. There are not a lot of people comfortable with the camera if they are not actors or actresses. When I told my new team, which was a new team for me, that we were going to be followed by a director they were all very anxious. You have a new team and you have to work… and plus you have to have a camera? There was a lot of anxiety about that. And it’s true you never forget totally about it and I am much more fun without a camera than with a camera. I am not a good actress, I think but there were great supporting “actors” in the film. When you have Karl Lagerfeld or Tom Ford or Ricardo Tisci, I think they are great supporting actors. Even my team, how they describe the process of doing the magazine is very interesting. Me? You see me; I am just running, running, running. CR: People think it’s impossible in fashion; friendship. Friendship is possible in fashion. It’s true! You see me in the film with my family. To raise kids and have a family is possible in fashion. It’s not always easy. I was not working as much when my kids were young but were have a very good relationship and we are like a block. I think it is very important these days to have something like great friends. When you are an editor you hear everything is beautiful, amazing, great but you need someone to tell you the truth and sometimes your family can the only truth you can have. CR: It's all these people that I have know for a very long time. Donatella; I was working with Gianni Versace, so it has been many years. Tom Ford, I have been his muse now its maybe 20 years ago and Karl I have known for years. All these people, they are part of my couturier I would say, so I am very happy that they are sharing with me this documentary. Because they are a part of this documentary, I hope that this documentary will be a success. 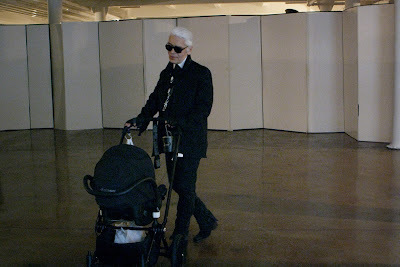 CR: To see Karl pushing a trolley! Can anyone imagine Karl pushing a trolley? When you know him he is very good with kids and animals... loves his baby cat, no? You see him being nice with all different people, he loves people and people don’t know that. They think he is a very tough person but no, he is a nice person. CR: My first fashion show was in France. I don’t remember exactly which one. I was just going with friends and I had no invitation. All of these students that don’t have invitations, they have to wait outside until someone lets you in. It is the reason that now when I go to the show, and because I have a bit more power than when I started, I always try to bring with me one or two students to see the show. 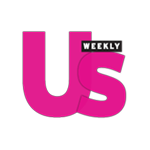 Now there are so many magazines and you have to invite so many editor- in -chief’s, from Korea, Japan and Turkey and all of the world, which is great, but the space is smaller and smaller so they don’t have space to invite all of the people who are tweeting that they are in love with fashion. These people make the vibe in the room and if they are not there you are not feeling the clapping and screaming. We need all of these people totally in love with fashion to make a show. I always try to bring one or two inside because that is their dream to see a show; like me when I first started and I would see a show standing. I think it is the only business where you go down the latter. Everyone else is up, in fashion you go down. You start standing and finally you go down and finish first row. CR: I think a magazine is like a dinner. You can invite a lot of people at the same time but if they don’t respect each other it’s difficult. I think it is the way you mix everyone together and that is what I want to do with my magazine. …It is not easy I am always running. You see me running in airports running all the time in flat shoes. So many people are going to be disappointed; I am not always in high heels. You cannot work with big animals in high heels. That would be very difficult. It is so difficult now to be a young designer. If you can help these people to become the big name of tomorrow, I think that is the best thing you can do in Fashion today. It is what we try to do in CR. CR: It’s very very different. I think the thing they have two things in common. Passion; when you see Grace Coddington, you see how much she loves fashion. And Work; when you see Anna Wintour she is a hard hard worker. She wakes up much earlier than me to work. It’s a lot of work. You don’t just get like this, we have to work and you have to really love it. Thanks so much to Carine for taking time to speak with OJ&B! Stay tuned this week for a special one on one interview with the creator and director of Mademoiselle C, Fabien Constant and more fab coverage of Mademoiselle C!